It’s not uncommon for children to think that food comes from the supermarket. After all, that’s where mum and dad buy it from, isn’t it? 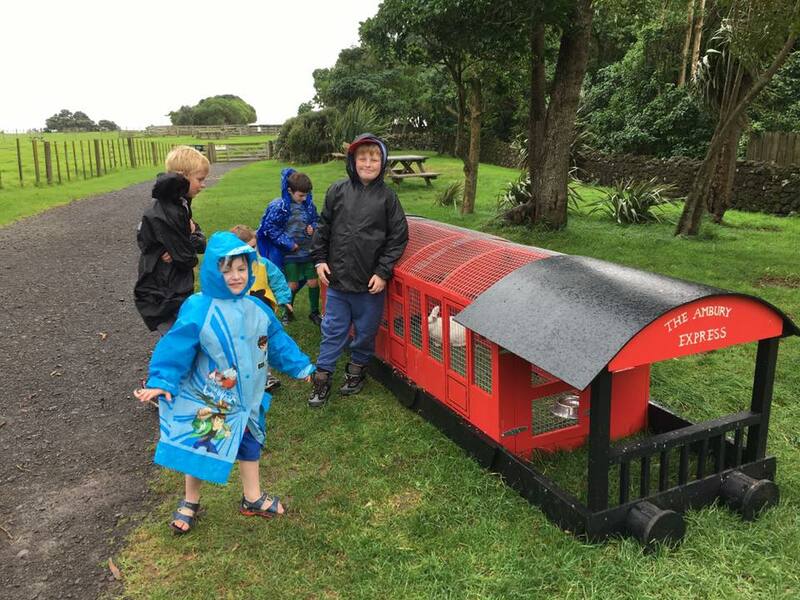 With this idea in mind, Blockhouse Bay’s Iona Scouts recently set out to make some discoveries about where food comes from, with a fishing trip to Cox’s Bay, Westmere, and picnic at Ambury Farm Park, Mangere. It was a beautiful day for the fishing trip. The abundant fish were visible under the water and the kids got a buzz from seeing them swimming near their rods. However, it seemed the group were feeding the fish rather than catching them; they could see them eating their bait, but had little success reeling them in. One of the leaders finally managed to catch a fish, which was very exciting for the kids. The group also visited Ambury Farm Park, Auckland Regional Council’s working farm park in Mangere. It is free to visit and a great place to spend the day, with horses, pigs, cows, chickens and rabbits, to name just a few of their farm animals, and they also have some beautiful walks. While the little ones looked at the farm animals, the older kids in the group cycled around one of the tracks surrounding the farm. In true scouting fashion, the group had a wonderful time despite the truly horrible weather, making the best of things by picnicking under the shelter of a building near the car park. 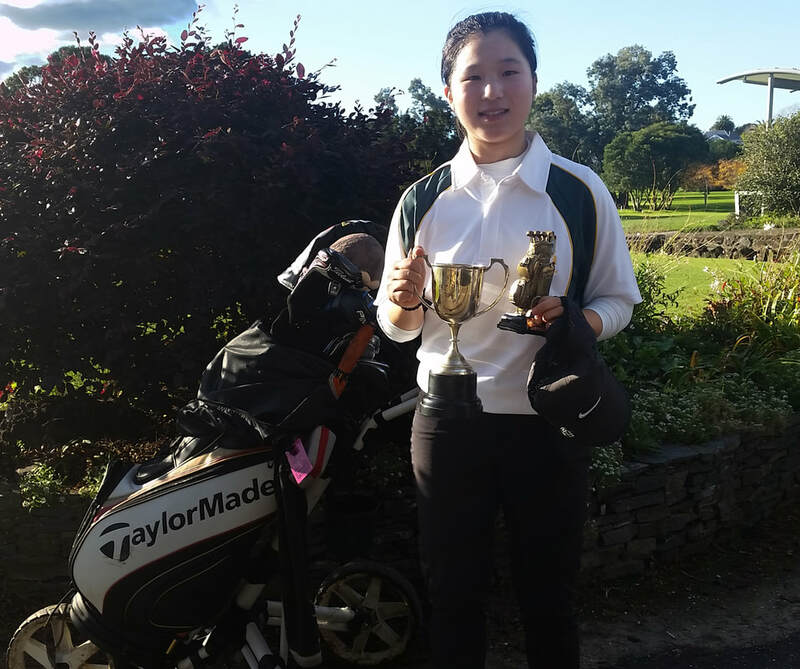 “It is important to fully focus on every shot in training” says Miree Jung who recently represented Lynfield College in the Auckland Secondary Schools Golf Strokeplay Championships, this year hosted by Waitemata Golf Club at Devonport. Miree blitzed her opposition to comfortably become the ‘Gross Winner’ after finishing 1-under with a round of 71 – 5 shots ahead of her nearest competitor. Her name is now engraved on the same trophy won by her golfing idol, Lydia Ko – not many get to say that! Miree plays off a handicap of +1, and had the same person been allowed to win the Handicap Championship, she would have won that too!! She is the second Lynfield College student to have won this title following Shantael Ligaliga’s win in 2013. A year ago, 14-year-old Miree decided to jump completely out of her comfort zone and broaden her horizons by moving from her home in South Korea to New Zealand. She and her brother now live with relatives in the heart of Blockhouse Bay and are enjoying the friendly atmosphere our community is so well known for. It also has the benefit of having three golf courses within a very small area – a definite bonus for someone who has been playing golf for five years and has her sights firmly set on becoming a golf pro! Miree has now completed one full school year at Lynfield College and has loved every minute of it. She finds the NZ education system provides much more freedom and flexibility; despite attending for five full school days each week, there is still plenty of time to pursue her passion to become a pro golfer, meet her school requirements and enjoy being a teenager. At home in Korea, Miree attended school for only three days each week, spending the other two days on the golf course or driving range with her coach.